Are you an adult who wants to learn to swim? Maybe you are looking to spend more time with your family in the pool. Or, you might want to learn to swim in order to get in better shape. Whatever your reason, learning to swim is an exciting adventure HPSC can guide you in. However, it does take time and effort, so you need to prepare yourself to embark on swimming lessons as an adult. When you watch other people gliding gracefully through the water, it may seem like swimming is easy. But it is harder than it looks. 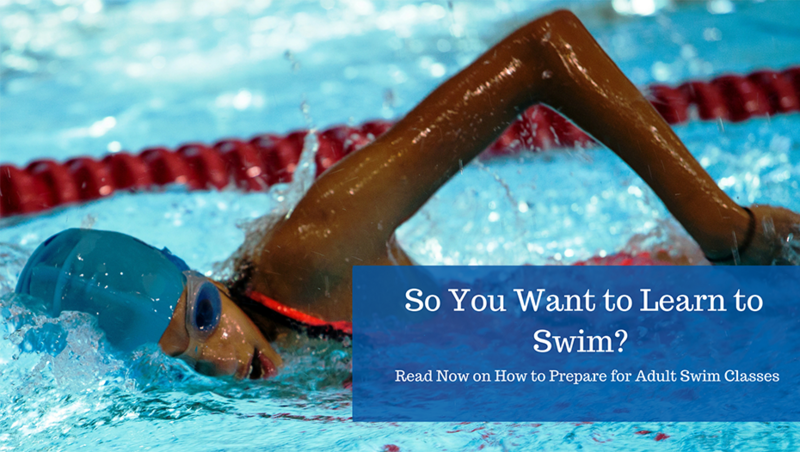 You need to have the right expectations before you start learning to swim. Otherwise, you might give up when the going gets tough. Swimming is an intense cardio workout. The water provides significant resistance to movements so you have to exert a lot of energy to move in the water. When you start swimming, you will most likely get out of breathe and experience fatigue until your body gets used to moving in the water. In order to develop the best swimming technique, you will have to practice specific movements. In your classes, you will perform drills that repeat these movements so that you can perfect them. Then you will put these skills to use when you learn the basic swimming strokes. The drills can be less challenging and repetitive, but they are necessary to develop proper swimming techniques. You need to be prepared to spend time in your classes on these drills. They may be frustrating, but if you know they have a purpose then you can work through them to achieve your goal. Practice is required. Taking lessons for an hour or two a week is a good start, but you are going to have to spend more time in the water to really get the hang of swimming. Find out when open swim times are and plan to attend a few of these each week. The more time you spend in the water, the faster you will learn to swim. People who are not prepared to invest the time and energy into learning to swim often get discouraged and give up. Having the right expectations helps you to work through the tough parts to achieve your goal. A good example is our adult swimming class participant Anastasia, she had a clear goal in mind and together with her coach Gerrie a plan was created to reach this. Communication with your coach is vital to make sure your expectations are aligned with the coach’s vision. We are very proud of Anastasia’s progress and happy we could be part of her journey. Investing in the right equipment at the beginning is helpful and can spare you a lot of frustration. Get a good pair of goggles. Make sure that they fit well and do not leak. If you swim in an indoor pool, you will need to replace these every few months because the chlorine will cause them to deteriorate. Wearing goggles helps you to get comfortable with your face being under water. Make sure you have a form-fitting suit. Baggy swim trunks will add to your resistance and only slow you down. Women’s suits are typically form-fitting. Guys might want to check out men’s swim jammers as a modest form-fitting suit. Other equipment like pool buoys, kickboards, snorkels and flippers might help you to get started. But you don’t want to develop a reliance on these device so use them with care. A great instructor is critical to your success. Make sure you communicate with your instructor frequently about your progress and how to improve. At the High Performance Swimming Club, we have experienced instructors that can help you to learn to swim quickly. There is a lot you can do to prepare yourself for adult swim classes. But don’t forget to have a good time. Learning to swim is an exciting process! HPSC Newsletter - Subscribe now! © copyright HPSC 2015. All Rights Reserved.